Ozone and her team examined each of Ghost’s 86 panels, researched various materials, created test panels and discussed treatment options with Whiteread. The team decided to apply a layer of Jesmonite—a water-based adhesive that she had used in other works—to the back of the original panels to strengthen them. But doing this meant losing Whiteread’s original markings. Ozone found a creative way to reintroduce the artist’s handwriting by asking Whiteread to write out a series of numbers and letters so vinyl versions could be printed and attached to the panels. They also created a “shadow” aluminium armature to complement the existing armature, which is made of standard shelving brackets, using a “Lego-like” framing system called 80/20. Unlike Whiteread, who screwed the plaster panels directly into the armature, Ozone devised a hanging system that avoided screwing anything into the plaster. While Ozone had hoped to streamline the process of installing and deinstalling Ghost, the treatment only managed to shave four days off the process, which ended up taking two weeks. Donovan is more philosophical about the time needed to install Ghost. “Some works go up on a nail on the wall, while others take two weeks. 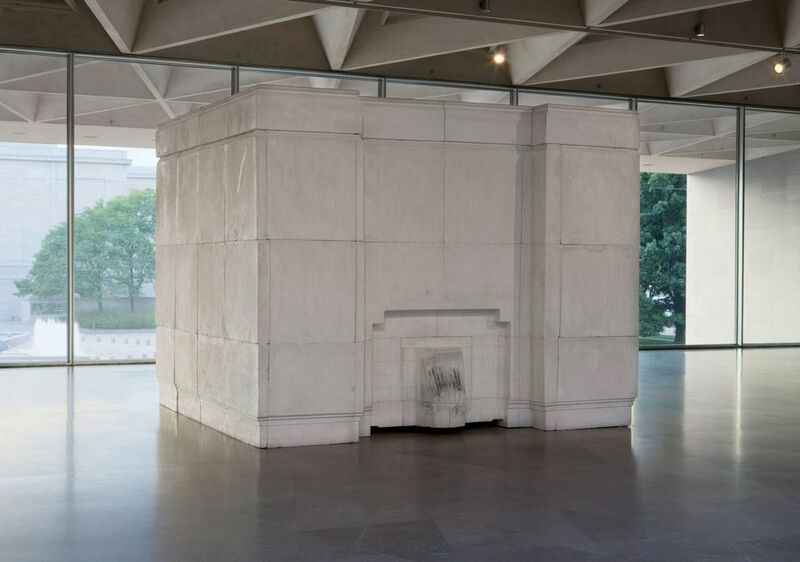 Whiteread’s work addresses time, so the fact that time is built into the piece itself is appropriate,” she says.